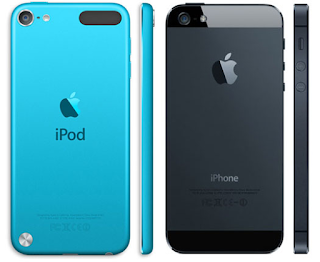 David Lim' NZ Blog, Apple iPhone Repair: What are all the differences between the iPhone 5 and the iPod touch 5th Gen? What are all the differences between the iPhone 5 and the iPod touch 5th Gen? Please note that the iPhone 5 and iPod touch 5th Gen models have been discontinued. However, this Q&A has been updated with current iOS support details and is quite useful for anyone buying or selling either of these devices on the used market. With a quick glance at any iPhone 5 model -- the iPhone 5 (GSM/North America), (GSM/CDMA), (GSM/International), (CDMA China), or (GSM AWS/North America) -- or an iPod touch 5th Gen model -- the iPod touch 5th Gen (32 GB/64 GB), (16 GB/No iSight), or 16 GB (2014/iSight) -- it would be easy to mistake the devices for one another. Of course, the iPhone 5 provides mobile phone capabilities and the iPod touch 5th Gen does not, but there are many more major and subtle differences alike that are well worth evaluating in detail. From the above photos, it is clear that the iPod touch 5th Gen (on the left) and the iPhone 5 (on the right) look quite similar apart from color scheme. In fact, the two devices share a 4" (diagonal) widescreen "Retina" display with a 1136x640 native resolution (326 ppi). However, the housings are quite different from one another. The iPhone 5 models only were issued in demure dark gray "slate" with a black glass front or silver with a white glass front. By contrast, the subsequent 16 GB and 32 GB and 64 GB iPod touch 5th Gen (A1421) models were issued in six different "fun" color choices -- gray (which has a black glass front) along with silver, pink, yellow, blue, and red (which have white glass fronts). For those interested in minutiae, in addition to the more colorful options, the 32 GB and 64 GB iPod touch 5th Gen configurations originally were offered in a dark gray "slate" and this was replaced with a medium colored gunmetal "space gray" on September 10, 2013. The subsequently introduced 16 GB configuration just was available in space gray along with its more colorful brethren. The 16 GB iPod touch 5th Gen (A1509) only was sold with a black glass front and a silver back. Although both devices use anodized aluminum "unibody" housings, the iPhone 5 models have essentially flat sides with "diamond cut" chamfered aluminum around the edge and an aluminum back with glass portions at the top and bottom to allow mobile and data signals to penetrate the case. The iPod touch 5th Gen models have almost an entirely aluminum back with gently rounded sides and a small plastic cutout in the upper right hand corner for signal penetration. The A1421 16 GB, 32 GB, and 64 GB iPod touch 5th Gen models also have a pop out "nub" in the lower left hand corner to attach an "iPod touch loop" (sold separately for the 16 GB model) whereas the A1509 16 GB iPod touch 5th Gen without a rear camera and the iPhone 5 do not accommodate this wrist strap. Although the overall dimensions are similar, the iPod touch 5th Gen is 20% thinner and when combined with the gently tapered edges, the result "feels" significantly thinner than the iPhone 5. In fact, the iPod touch 5th Gen is so thin that the camera lens "pokes out" from the case enough that it doesn't lay flat on a table. Both devices also include Apple's "EarPods" headphones, but the iPhone 5 EarPods have an integrated microphone and inline remote whereas the iPod touch 5th Gen has a cheaper variant that lacks the microphone and remote capabilities. There are significant camera differences between the iPhone 5 and the iPod touch 5th Gen models. The iPhone 5 has two cameras -- a front-mounted 1.2 megapixel 720p "FaceTime HD" camera and a rear-mounted 8 megapixel 1080p "iSight" camera. The 16 GB and 32 GB and 64 GB configurations (A1421) of the iPod touch 5th Gen also have two cameras -- the same front-mounted 1.2 megapixel 720p "FaceTime HD" camera as the iPhone 5, but it has a lower quality rear-mounted 5 megapixel 1080p "iSight" camera. The lower-end 16 GB iPod touch 5th Gen (A1509) also has the same front-mounted 720p "FaceTime HD" camera, but it does not have a rear camera at all. Although the iPhone 5 and iPod touch 5th Gen models are simple to differentiate when they are side-by-side, specific identification details still can be useful when the devices are not next to one another. The easiest external identifier to use is the Model Number listed in small type on the back of each device toward the bottom. There are five different iPhone 5 models, and precise differentiation is complicated, but for the purpose of this Q&A, they can be collectively identified by the A1428, A1429, and A1442 model numbers. The 16 GB and 32 GB and 64 GB iPod touch 5th Gen models with dual cameras share model number A1421 whereas the discontinued 16 GB iPod touch 5th Gen without a rear camera is model number A1509. Everyi.com's Ultimate iLookup feature -- as well as the EveryMac app for iOS 5 or later, Android, and Kindle Fire -- also can identify these iPhone and iPod touch models by Order Number (launch the Settings app and then select General > About and finally scroll down to what is referred to as "Model" in the iOS). For example, the 16 GB iPod touch 5th Gen without a rear camera is ME643LL/A. Both the site and EveryMac app additionally can identify these devices by their Serial Numbers, as well. Internally, the iPhone 5 and iPod touch 5th Gen models have little in common other than storage capacity options and shared support for 802.11a/b/g/n (including both the 2.4 GHz and 5 GHz frequencies of 802.11n) and Bluetooth 4.0. Different iPhone 5 models support differing cellular connectivity, but all have cellular capabilities (voice, text, and data, on basic terms), whereas the iPod touch 5th Gen models do not. The iPhone 5 also supports GPS and GLONASS and have a compass, whereas the iPod touch 5th Gen models do not. The iPod touch 5th Gen models have a 1 GHz dual-core A5 processor and 512 MB of RAM whereas the iPhone 5 has a much faster dual core 1.3 GHz Apple A6 processor and 1 GB of RAM. Both the iPhone 5 and the iPod touch 5th Gen models fully support iOS 6 and iOS 7. The iPhone 5 fully supports iOS 8 and iOS 9, but as they do not have cellular capability, the iPod touch 5th Gen models do not support the Instant Hotspot, Phone Calls (from Mac), or SMS features. The	iPod touch 5th Gen also does not support Transit running iOS 9. As the iPod touch 5th Gen is substantially less powerful than the iPhone 5, with a slower processor and half the RAM, iOS 9 definitely is slower than iOS 8 or iOS 7 on this device, as well. If performance is most important to you, it would be best to run iOS 7 on the iPod touch 5th Gen. However, this unfortunately means that the most up-to-date apps will not work. Note that if any of these devices have been updated to a later version of the iOS it is not simple to "downgrade" to an earlier version without resorting to "jailbreaks" or other hacks, either. Historically, also note that Apple tends to discontinue iOS support more quickly for the iPod touch than the iPhone, at least partially because the iPod touch generally is less powerful than iPhone models available at the same time. It is a reasonably safe bet that this pattern will continue and Apple will support the iPhone 5 longer than the iPod touch 5th Gen. In fact, it seems unlikely that the iPod touch 5th Gen will support the next version of the iOS. Originally, the 16 GB iPod touch 5th Gen without a rear camera was US$229 and the 32 GB and 64 GB iPod touch 5th Gen models with dual cameras were US$299 and US$399, respectively. On June 26, 2014, Apple discontinued the 16 GB iPod touch without the rear camera, replaced it with a 16 GB iPod touch with a rear camera for US$199 and lowered the price of the 32 GB and 64 GB iPod touch 5th Gen configurations to US$249 and US$299, respectively. These remaining iPod touch 5th Gen models were discontinued on July 15, 2015. The iPhone 5 models originally were available for US$199, US$299, or US$399 -- with 16 GB, 32 GB, or 64 GB of storage, respectively -- locked to a mobile phone company with a two-year service contract. Unlocked and contract free, the iPhone 5 models were originally US$649, US$749, and US$849. The iPhone 5 was discontinued on September 10, 2013. * The 16 GB and 32 GB and 64 GB configurations (A1421) of the iPod touch 5th Gen have two cameras. The 16 GB configuration (A1509) has a front-mounted 720p "FaceTime HD" camera, but it does not have a rear camera at all. † These are the original prices for the iPhone 5 on AT&T with a two-year contract in the US. Pricing on other carriers, such as T-Mobile, was different. Unlocked and contract free iPhone models also were available at a premium. § The 16 GB iPod touch 5th Gen that lacks the iSight camera was US$229 (this model was discontinued on June 26, 2014). The 32 GB and 64 GB configurations were originally US$299 and US$399, respectively. The 16 GB and 32 GB and 64 GB configurations (A1421) were US$199, US$249, and US$299, respectively, from June 26, 2014 until they were discontinued on July 15, 2015. 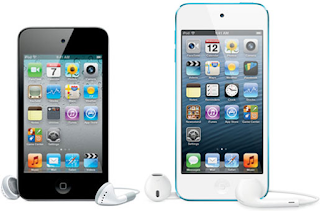 There are any number of places to purchase a new or used iPod touch or iPhone as well as services. However, purchasing from a quality company with extensive Apple knowledge -- and after sales support -- will provide the best experience and save you money and time, too. 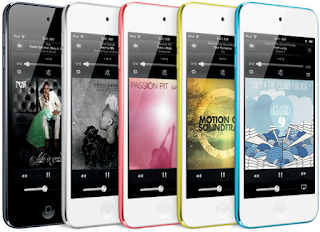 In the US, site sponsor PowerMax has a good selection of used iPod touch andiPhone models available free of sales tax. PowerMax also accepts trade-ins on older devices toward the purchase of newer ones or anything else they sell. If you just want money for your old iPhone or iPod touch, site sponsor BuyBackWorld will buy yours directly for fast cash. 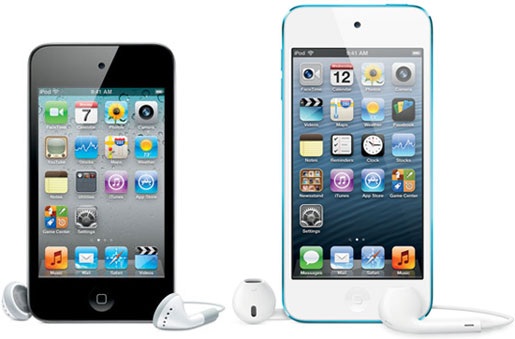 In Ireland, site sponsor SmartSpot sells a variety of used iPod touch and iPhone models with free shipping. Affordable shipping is provided across the EU, too. In Southeast Asia, Singapore-based site sponsor PCPRO provides quick money forused iPhone models as well as all other Apple hardware.